Dazzling … profound … superb … as rewarding as it is entertaining. 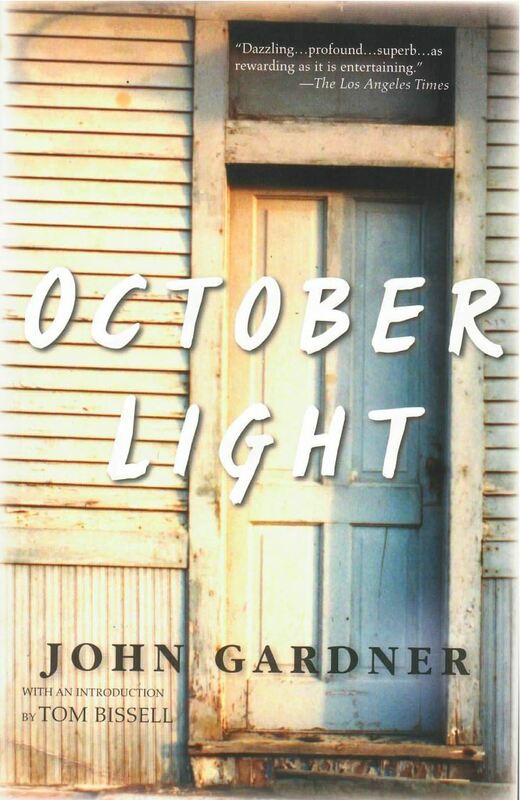 October Light is one of John Gardner’s masterworks. The penniless widow of a once-wealthy dentist, Sally Abbot now lives in the Vermont farmhouse of her older brother, 72-year-old James Page. Polar opposites in nearly every way, their clash of values turns a bitter corner when the exacting and resolute James takes a shotgun to his sister’s color television set. After he locks Sally up in her room with the trashy “blockbuster” novel that has consumed her (and only apples to eat), the novel-within-the-novel becomes an echo chamber providing glimpses into the history of the family that spawned these bizarre, sad, and stubborn people. Gardner uses the turbulent siblings as a stepping-off point from which he expands upon the lives of their extended families, and the rural community that surrounds them. He also engages larger issues of how liberals and conservatives define themselves, and considers those moments when life transcends all their arguments.